In western, many people feel like drinking Brandy ,XO ,Rum,Beer ,etc.. In China, more and more people begin to trend to produce fruit wine by themselves. Osmanthus, elegant and pleasant aroma, is the best natural flower fragrance materials to produce traditional cakes, candy, and wine. Of course, it can also be used to make Osmanthus moon cake, sweet-scented osmanthus duck, sweet-scented osmanthus wine, and so on traditional cuisine. 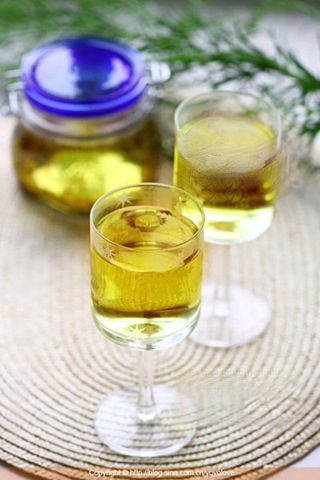 Last year, I saved some dry sweet-scented osmanthus, I would have been prepared to drink as tea, but fiend said if producing the sweet-scented osmanthus wine,tastes better. Therefore, I have a try. The taste really good. The main Ingredients are : Osmanthus 50g, sugar 50g, pure rice wine 600g. It is very easy to make, mixed well above ingredients ,sealed, placed shade about 60 days. 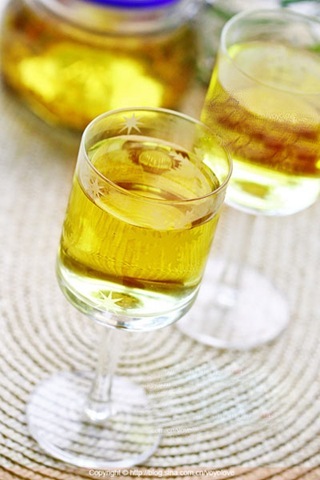 The -scented osmanthus wine is finished.